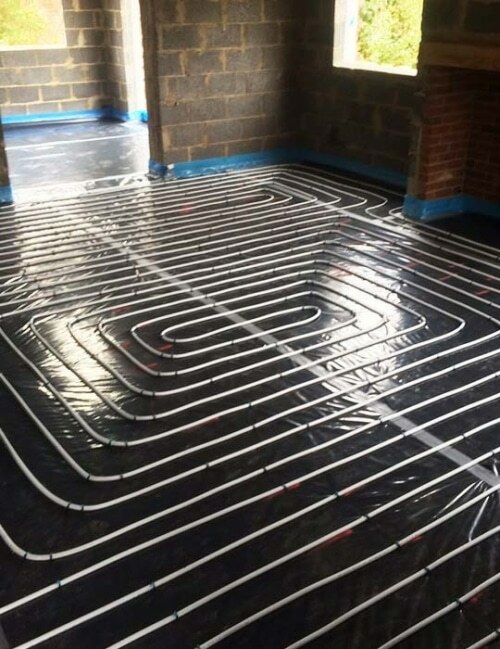 Wouldn’t your underfloor heating project be quicker and less stressful if you had just one point of contact for both the product selection and installation processes? Choose Screed It for your underfloor heating purchase and installation and you will benefit from a single point of contact, an upfront itemised quotation, bulk-buying power on the best quality products and a full ten-year insurance backed guarantee on your installation. Compared to other leading manufacturers, our preferred system provider will replace the screed and floor finish in the event of a manufacturer fault for up to ten years after installation. Some popular brands will offer a 50-year guarantee, but only cover the pipes, leaving you with the mess and expense of making good the screed and flooring. You can read more about our underfloor heating manufacturer of choice here, or why not take a look at some of our case studies and customer testimonials? Our friendly team are available to answer any questions you may have. Call them now on 0800 756 1394.